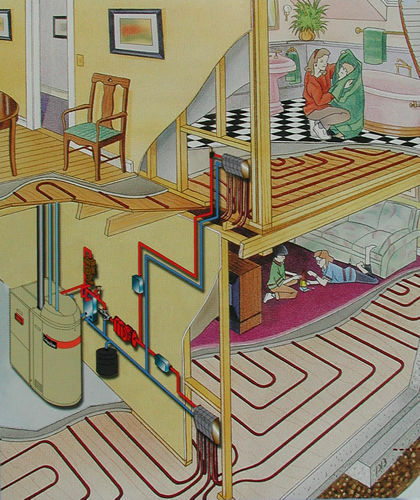 Invisibly working inside the floor, radiant heat provides the added measure of comfort that makes a home feel cozy. 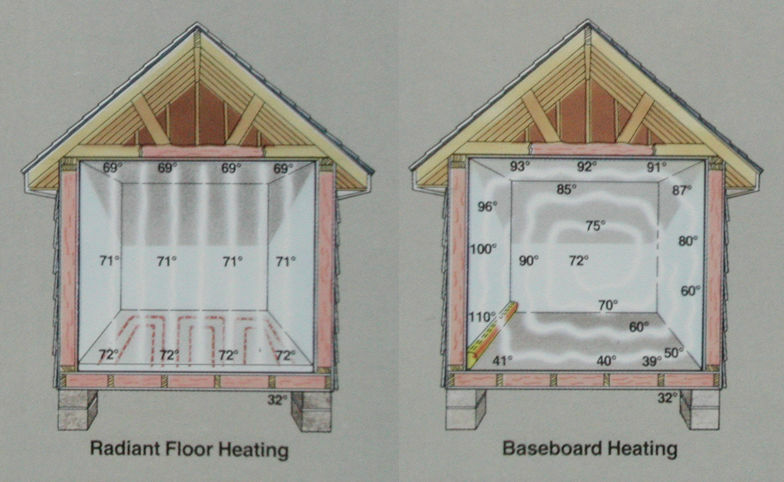 Thats because radiant heat warms from the floor, concentrating heat near people, furnishings and walls - making radiant heat the ideal choice for new construction, remodeling, heating entire homes and buildings, warming floors, and melting snow and ice. 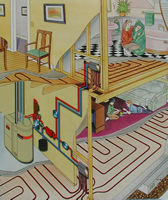 Constant, even heat, concentrated at the floor for greater comfort. Erratic temperature fluctuations and wasted Heat energy at the ceiling.